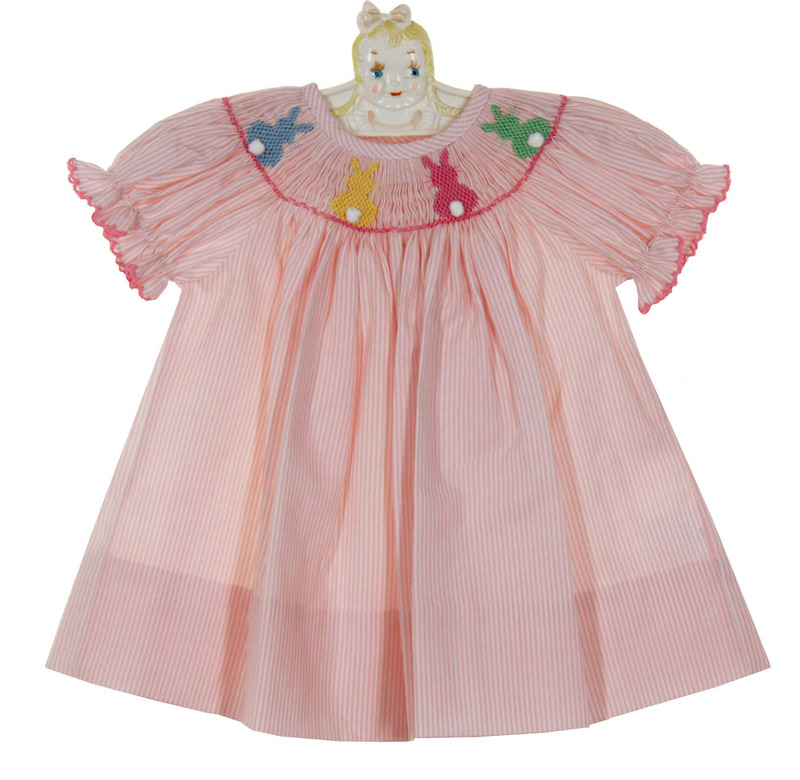 This precious pink pinstriped cotton dress is made by Petit Bebe by Anavini, a leading manufacturer of classic smocked children's clothing. 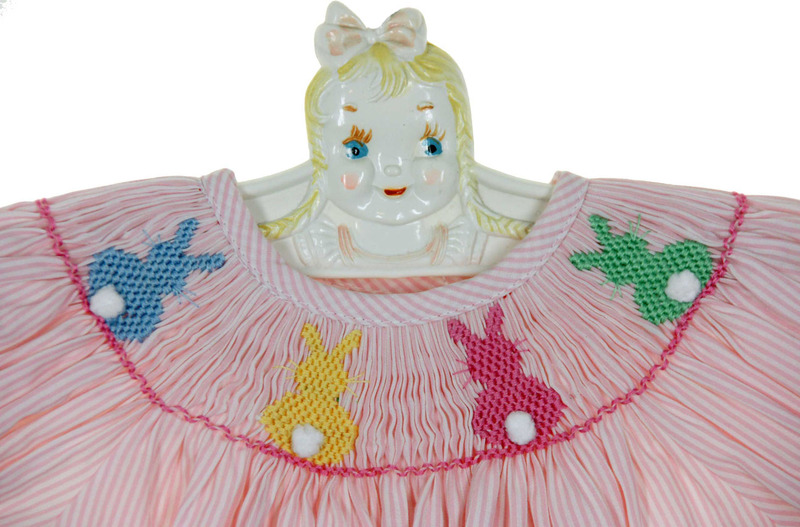 Perfect for Easter, this dress has a bishop smocked bodice with pink, blue, green and yellow embroidered bunnies with fuzzy white tails. It has a simple round neckline and short puffed sleeves with elasticized ruffles. The dress has a back buttoned closure. 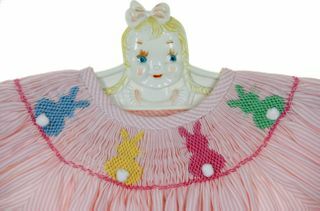 Note: Matching baby and toddler smocked dress is also available. See below.